Hugh Burnett is a hero who changed Ontario human rights law for the benefit of all who live in Ontario today. 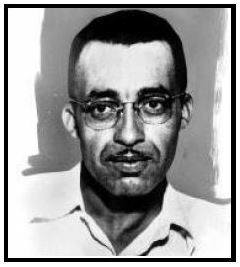 Hugh Burnett was an African-Canadian man born in Dresden, Ontario in the first half of the 20th century. A regular man with an extraordinary fire, he was descended from settler, original, and formerly enslaved peoples. He came of age in a farming community whose segregationist practices were derived from the customs and laws of the North American institution of slavery. World War 2 had passed and governments were saying “Never again,” yet, in his town neither he nor any person deemed to be of colour was allowed to sit in a local restaurant and purchase a cup of coffee. Hugh Burnett could not—and did not—accept this. He and his allies directly challenged the discriminatory practices of Dresden that were protected by the customs and laws of Ontario and Canada. He challenged the hearts of neighbours, the province, and the entire country by demanding better. Their efforts influenced and led to the passage of the Racial Discrimination Act (1944), the Fair Employment Practices Act (1951) and the Fair Accommodation Practices Act (1954) as well as laid the groundwork for subsequent human rights legislation in Ontario and across Canada.